A drop-down menu listing the main categories for this blog – this makes it easier to separate the podcast summaries from the live stream and, in particular, the posts about research training online. If anyone would like to see any other changes to the blog please let me know in the comments below. I’d love to hear from you. When you read a blog post about History what are you looking for? 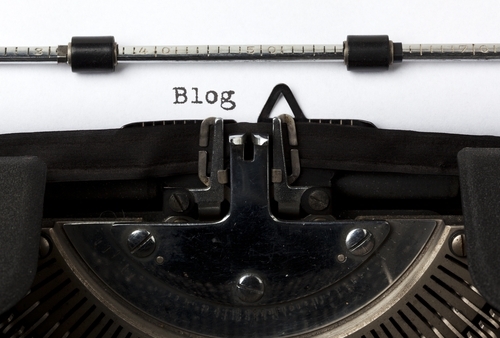 If you own a blog do you write posts about historical topics? Why do you do this? What do you get out of it? These are all things that are of interest for the Blogging for Historians project. A series of podcasted interviews with practitioners in archives, libraries and history departments who blog about History in one form or another. It is the first two sections that will provide the majority of interest and will hopefully raise some interesting thoughts, ideas and questions. Essentially the survey asks why we create blogs, what do we hope to gain from them, and how do we access blog posts as a reader? It also asks what do we gain by reading blogs? From this survey it is hoped that we can further understand the processes and many reasons why blogs have become such a successful forum for writing, reading, and discussion over the last few years, and what impact or importance this might already and in the future have for the History discipline. I would be very grateful if you could fill in this survey. It doesn’t matter if you own a blog or just visit them (or even if you don’t visit them – I would be interested in that too). The survey is interested principally in History-related blogs, but this does not necessarily mean academic or professional. There are a variety of History-related blogs out there, all of which have something useful and interesting to offer. It should take no longer than five minutes to complete and personal details will be kept confidential. 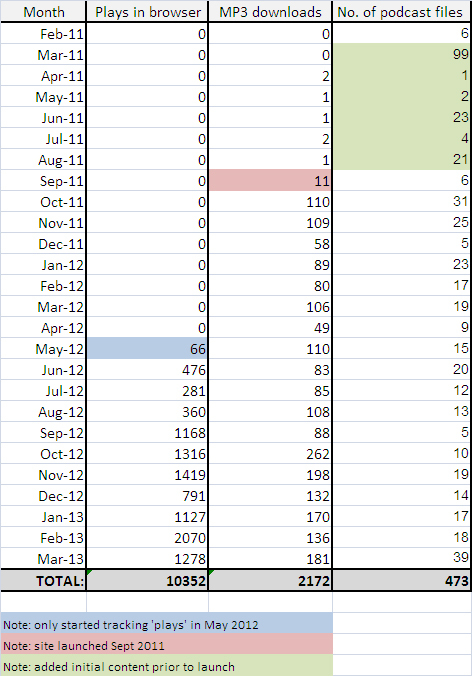 Statistics from the results of the survey alongside my thoughts and analysis will appear on this blog early in 2013. 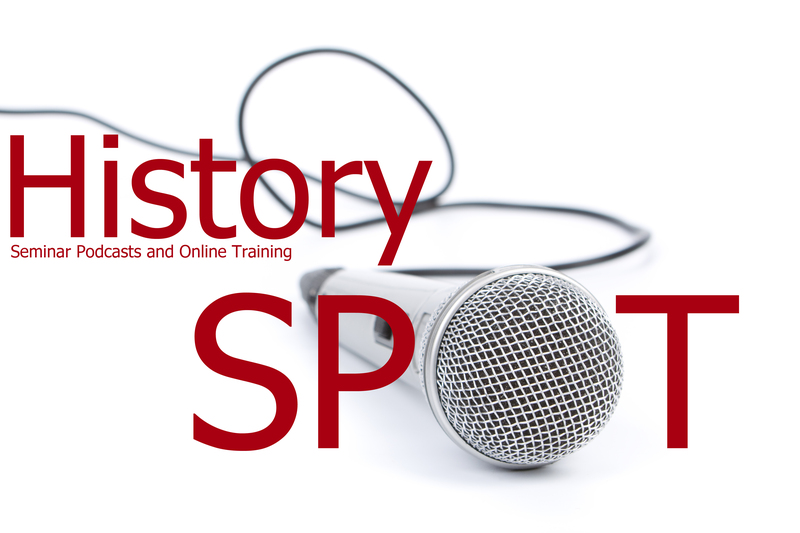 Just a brief word today, to keep you informed about the changes occurring to the History SPOT platform. These won’t affect your ability to visit the site, either for the podcasts or our research training material, but you will find some changes to the way you navigate the site. One of the main things that we are trying to do in making these changes is to link it more closely to our parent site, the IHR website (www.history.ac.uk). You can now access History SPOT either through its home page or through the relevant sections of the IHR website. For example to access the podcasts you can come in via the seminar pages on the IHR website or from the History SPOT front page. Detailed information about each training course will now be held on the IHR website where you can then log in to History SPOT to reach those materials. So, to the changes we have made today. Firstly you will notice some changes to the History SPOT front page. We’re now using this space as a place to read about the latest news regarding the IHR’s online seminars and training provision. Thus we have a latest podcasts feed, latest blog posts, and links to all of our research training online. The main toolbar has also been simplified to grant easier access to the contents of the site. The side navigation bar still remains in a reduced form but will be replaced shortly. You will notice that the Collaborative portion of the site has vanished. We haven’t gotten rid of this, but we are in the process of changing how we use this portion of the site – more on that at a later date. The other element of History SPOT that has been improved is the podcast index page. 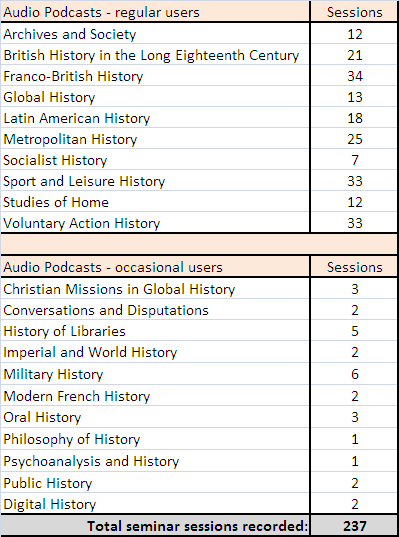 We have worked hard to provide an index that underlies all of the podcasts on History SPOT. 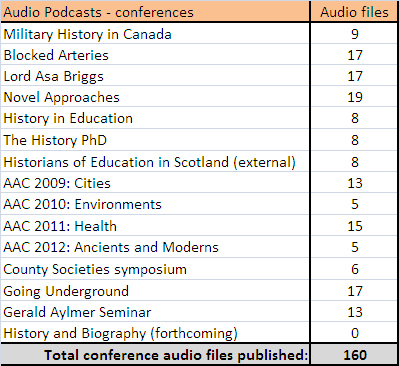 You can still access these podcasts via a list of the seminar groups but now you can also search via period, geographical location, and type of history. The search engine at the top of the page also allows you to search by keyword. In addition we’ve moved our live stream system directly on to the seminar page, so you can now pop-out all of the live stream elements whenever you want to watch a variety of past events (or live events when they are on). Finally, just a quick note that podcasts from this year’s seminars will begin to appear from next Monday (15 October 2012), so please do watch this space!